1978 was the first year the US Open was played at the National Tennis Center in Flushing Meadows after having been organized at the West Side Tennis Club venue in Forest Hill since 1915. 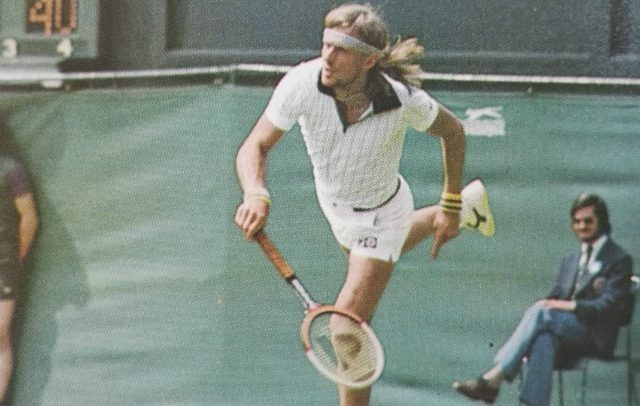 It was also the first time the tournament was played on hard courts: it was originally played on grass until Forest Hills switched to Har-Tru clay courts in 1975. 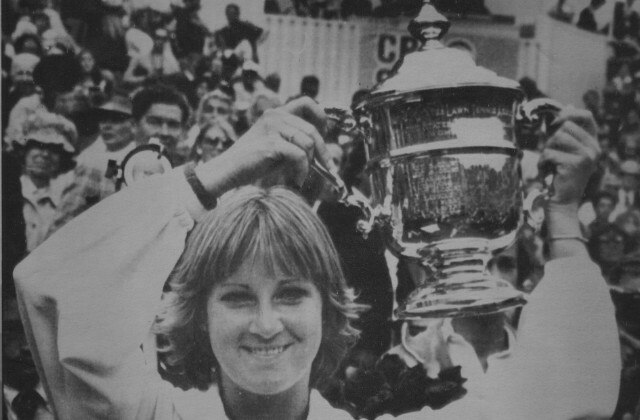 Jimmy Connors is the only player to have won the US Open on all three surfaces. By late August, summer weighs heavily on the city of New York; each day seems like one long tepid breath drawn until dusk, then exhaled slowly through the night. The US Open is about to begin. 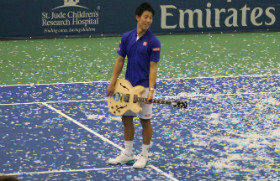 The USTA National Tennis Center in Flushing Meadow, Queens, has been completed just in time to host the tournament that will henceforth call it home. A boardwalk leads from the subway to the new facility, which is adjacent to Shea Stadium, the sprawling home of the New York Mets and Jets. This boardwalk crosses over a subway yard, where hundreds of cars sit idle, covered with graffiti. The walk is lined with flags: American flags. Over seventy of them, counting those on top of the new Louis Armstrong Stadium. 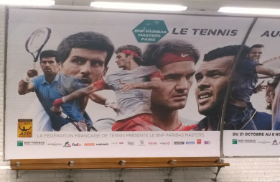 There isn’t a foreign standard in sight, because the USTA is bullish on the American role in international tennis. The Americans leaped on the treadmill of professionalism faster than their international counterparts. As part of its massive attempt to popularize the sport, the USTA abandoned the West Side Tennis Club in nearby Forest Hills, a site redolent of tradition and all the genteel qualities associated with tennis. 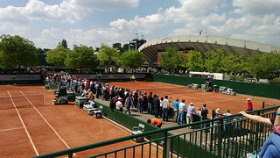 Although the stadium at Forest Hills held 13,500, the USTA deemed it to small. The hordes that descended on the 10.5 acres of the West Side Tennis Club created impossibly crowded conditions. Besides, parking facilities were inadequate, and this meant a great deal to some people. 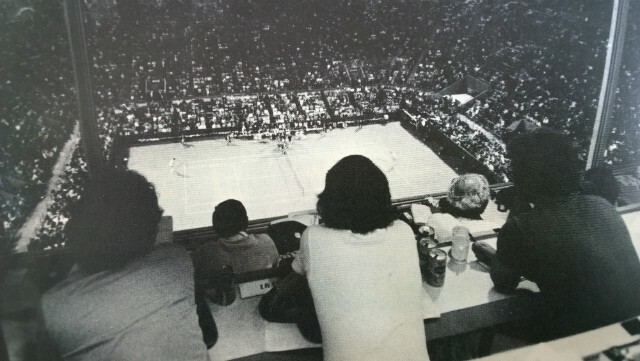 When the club rejected expansion proposals in 1977, USTA president Slew Hester decided to move the tournament to a newer, bigger home. Louis Armstrong Stadium, the centerpiece of the National Tennis Center, is a bowl of epic proportions; its sheer sides give over 20,000 spectators a dizzying view of the main court. 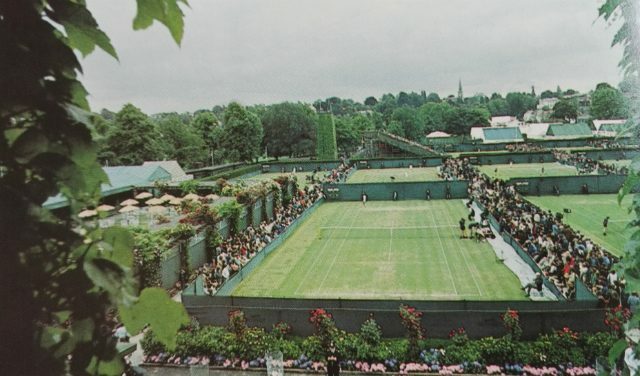 But the finest court at the site is in the grandstand, which nestles against one side of the stadium in much the same way that the Number One Court nestles against the Centre Court at Wimbledon. 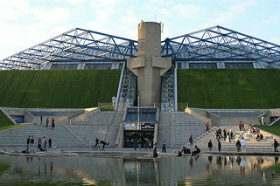 Sunken about ten feet below ground level, the court is surrounded on three sides by seats for about 6,000 spectators, who lean in over the players like aficionados around a bullring. The women’s final is played first, in bright sunshine. Shriver shows no sign of nervousness; although she is broken early in the first set, she hangs on and reaches 3-4. In the next game, when she hits a desperate backhand volley at full stretch at 30-all, her opponent is set up for an easy forehand pass off the high bounce. But Evert‘s stroke is tight, and the ball falls into the net. Shriver has break point. 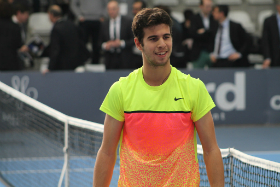 It goes to deuce, then break point again. 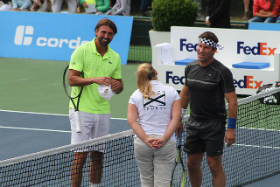 Twice, three times, four times, five – Evert is nervous, but Shriver is incapable of ending the game. It goes on to three more deuces, and this time it is Shriver who ignoes the advantage points her opponent holds. The last deuce is reached with a portentous double fault. Evert is beginning to buckle under the strain of the long game. An overhead winner gives Shriver break point again. Evert serves; Shriver returns a backhand slice to her forehand corner. At the decisive moment, Evert decides to lob instead of pass down Shriver’s backhand line, but she scoops the ball up short, and Shriver drills it into the opposite corner. She has broken back to even the match 4-4 after a game that contained twenty points. Shriver has been capitalizing on Evert’s lack of speed. As long as she can control the pace of the match by ending points quickly, she is in good shape. When she lapses, Evert forces her to deuce before the younger girl holds for 5-4. Then Evert holds her own service at love. In the next game, Shriver is at the point where she can smelle it. The scent makes her nervous. She loses the first point but hits a service winner for 15-all. She attacks again during the next point, but indecisive lobs answered with tentative overheads result in Shriver putting a crosscourt backhand wide. She cuts her next volley too fine, and Evert has two break points at 15-40. She loses one to a fine, deep serve on the backhand side, but gets the break when Shriver puts her first volley of the 30-40 point into the net. It is the classic error of an overeager hand, to which even the most seasoned players succumb now and then. Evert holds the next game easily to take the set 7-5. A break in the long ninth game of the second set gives Evert the championship, 7-5 6-4. It is her fourth consecutive US Open title. Evert and Shriver met the press together. Pam looked fresh as a rose, while Chris seemed haggard. Shriver admitted that things had changed for her with the Navratilova match. When she went out to buy a newspaper that morning, people on the street recognized her and wished her good luck. She felt she played well, despite feeling rushed. In retrospect, she would have tied to slow down the pace of the match without prolonging the actual points. “It all seemed to go by too quickly,” Shriver said. Evert felt vindicated. 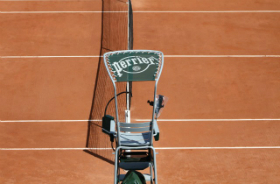 She had won the tournament even though it was no longer on clay. 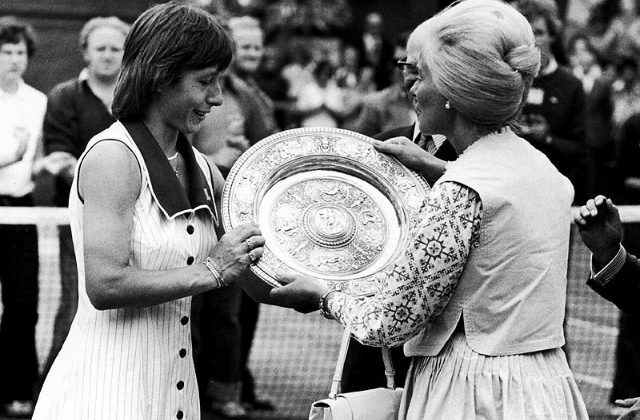 She had also driven a wedge into Navratilova‘s grip on the number-one ranking, and the year was not over yet. The major title had been captured. She was proud of the intensity with which she responded to big points and the match in general. It proved that the competitive spirit was still there. Shriver had been adopted as the darling of the crowd. Evert had seen this happen too often to complain, but there was one thing she felt she had to clear up.